The files have been sent to the printer and the presses are running. 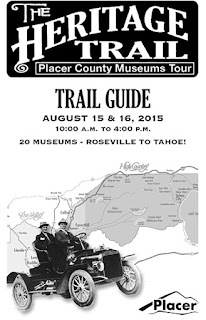 Trail guides will be available at all twenty museums and at the Placer County display at the State Fair. If you're the kind of traveler who can't wait to get your hands on one, click the link below to download it right now.